From Iraq to Syria, in Lebanon and in Yemen, both are competing for dominance in an ever-deepening tussle for supremacy across the Middle East and North Africa (MENA). Yet to understand what may happen in the coming years, is to push past the one-tracked, sectarian explanation of current hostilities, and to construct a more multi-faceted and profound, realist-oriented discussion of the conflict. Toby Mathieson- in discussion with the Council on Foreign Relations- described Riyadh’s use of sectarianism as a ‘tool they use’ to mobilize Sunni support both at home, and across the MENA region. Former US State Department adviser, Vali Nasr, concurs, attributing Nimr’s execution to a Saudi desire to ‘rally Sunnis at home’, as well as to shore up Sunni support from a variety of regional actors. For Riyadh, a mobilization of internal and external Sunni support is necessary for purely realist reasons – to reinforce the House of Saud’s legitimacy, and subsequently to guarantee its survival, in the face of a revitalized Iran. The hastily convened ‘Islamic Military Alliance (sans Iran and Iraq) is a convenient sectarian front for what is ostensibly a zero-sum competition for leverage in the Middle East. Further evidence abounds with the Saudis’ role in attempting a rapprochement between wary Sunni ‘bedfellows’, Egypt and Turkey. Quite simply, Saudi Arabia is using the highly divisive issue of sectarianism to shroud its true intentions – to prevent the hegemonic rise of a re-energized and unshackled Iran. Its policy actions for a number of decades point to such a conclusion. The formation of the Gulf Cooperation Council (GCC) in 1981 was designed to counter Iran’s rise after its 1979 Islamic Revolution, and to support Saddam in his nearly decade-long conflict with Iran. Iranian rancor at Saudi support for Saddam still remains to this day. The Islamic Military Alliance must be viewed in the same light as the formation of the GCC. An attempt to assuage intra-Sunni squabbles (in the case of Turkey and Egypt) is a further policy prescription by which Riyadh can present a united front against Tehran. From an Iranian perspective, since the ascension of the Ayatollah Khomeini to the position of Supreme Leader, Iran has sought to buttress links with co-religionists across the region, forming a Shiite crescent comprising Assad’s Alawites and Lebanon’s militant group, Hezbollah. This ‘crescent’ is wholly fuelled by Iranian desires to return to what Tehran sees as its rightful place within the Middle Eastern order – as the true regional hegemon; a re-Persianization of Iran’s status if you will. Covert support for Yemen’s Shiite Houthi rebels is additional sign of Iranian strategic designs on the MENA region. Iranian exportation of its Shiite ideology across the region must therefore be understood within the context of a regional balance of power, and Iranian attempts to dominate as it has done so before. The Saudi kingdom is afraid. Its grip on power is predicated upon its religious legitimacy and the social contract that binds the House of Saud to its citizens, in a sentence – bountiful financial benefit in exchange for continued support. Both of these legitimizing tenets have been jeopardized in the past year, through the Hajj disaster and the global collapse of the oil price. Riyadh has been forced to dig into its (admittedly huge) foreign exchange reserves. It has also announced its first cut to benefits. Prince Mohammed Bin Salman has even announced that Aramco will be partly privatized. Saudi decision-making has always been of a politically realist nature. For the Al Saud family, survival is the goal. Thus its extraneous actions will always be predicated upon ensuring the regime and the state’s survival. Currently, Riyadh is also facing the very real threat of the Islamic State, which looms large on its border, and even within the kingdom. Thus aside from its regional hegemonic battle with Iran, the House of Saud is being bedeviled by what it views as a number of existential threats. Nimr’s execution can thus be understood as a Saudi ploy to illustrate its might and its determination to meet what it perceives as existential threats, with overwhelming force. Playing the anti-Shiite card is one small part of this strategy. 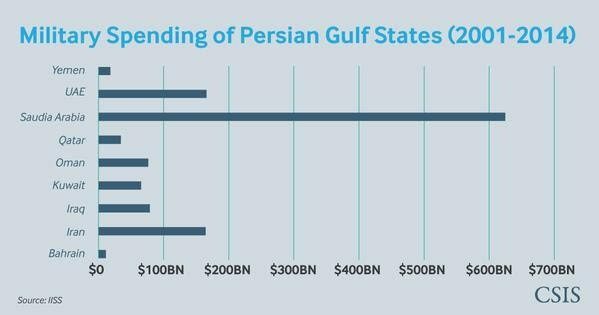 Saudi insecurity has also been irretrievably heightened by the Iranian nuclear deal, which Riyadh fears will draw Tehran closer to the United States. Since Iran’s 1979 Islamic Revolution, Riyadh has dominated America’s Middle Eastern relations. Thus with Iran slowly being accepted back into the international fold, a great Saudi fear is that in any future clashes between Riyadh and Tehran, Washington could conceivably side with Riyadh’s great enemy, a wholly unpalatable scenario for the Saudi rulers. Today’s hostilities do not point towards a shift from cold to hot in what is already an extremely precarious situation. 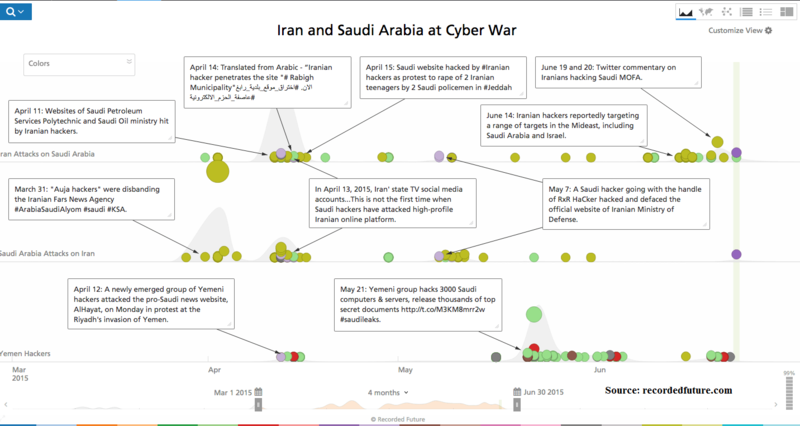 The Saudis’ military capacity does not match up to the Iranians. Iran has around 500,000 ground troops, compared to less than 200,000 for the Saudis. From an economic perspective, oil sustains the Saudi regime. Oil revenue is used to buy support within the kingdom and friends outside of the kingdom. The majority of this oil lies in Saudi Arabia’s Eastern Province, a demographic disaster, as the area is predominantly Shiite. Therefore it is vital for Saudi Arabia not to incite trouble (or too much trouble) with Iran so as to ensure its safeguarding of the fundamental Eastern province. Moreover, Iran will not want to jeopardize its recent welcome back into the international fold and the ensuing lifting of sanctions on the Iranian economy. As a longstanding US ally, Saudi Arabia would expect to receive American support, making overt Iranian aggression against Riyadh unlikely. What will happen is an intensification of proxy Saudi-Iranian conflicts across the MENA region. Saudi military largesse in Yemen – estimated to be costing the kingdom in Riyadh the princely sum of $1 billion a month – is unlikely to be discontinued. The war shows few signs of abating, with recent talk of a ceasefire failing to staunch the frighteningly large amount of civilian deaths (said to be at nearly 3,000 according to the UN). Nimr’s execution has put a stake through the heart of any Yemeni peace process. Nimr’s death is also likely to reduce the likelihood of an agreement on the Syrian track in Vienna, as both the Saudis and Iran both reinforce their stances behind their respective Syrian clients. Iran will harden its resolve to see Assad remain in power, while the Saudis will continue to support anti-Assad rebels in Syria, ploughing money and arms into extremist hands. A solely sectarian-based argument as the catalyst behind the Saudi-Iranian conflict is missing the wider point of international relations. Of the recent spate of Saudi executions, only 4 (out of 47) were Shiite. Contrary to noise emanating from the White House, Nimr was not all that he was cracked up to be. He had clear, public links to Hezbollah al-Hejaz, an armed, Khomeinist group, highly active in the Saudis’ Eastern Province. Nimr has called for an armed struggle against the ‘illegitimate’ Saudi regime. Hezbollah al-Hejaz was even behind the 1996 Khobar Towers bombing, which killed numerous Americans. Instead, the death of Nimr will serve to intensify the Middle Eastern, geopolitical competition of the past decade, as both sides seeks to shore up their claims of regional (and religious) leadership. This article was originally published by Global Risk Insights and written by GRI analyst Sam Julius.